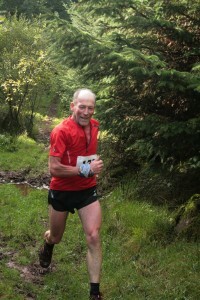 The Indian Summer held on for the final day in this years fell running season. A balmy, mist kissed Slieve Gallion was the stage for last encounter. 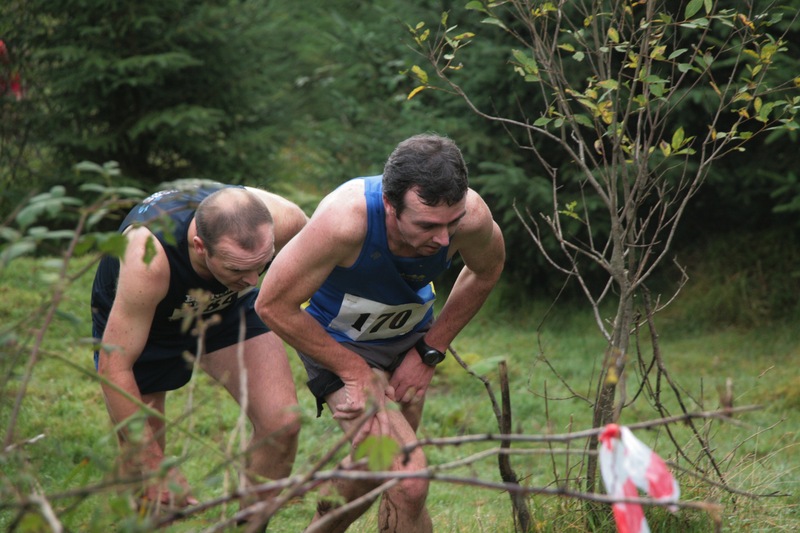 In the muddy depths of Iniscarn forest season weary hill runners lined up for the last hurrah. When the whistle was blown The Bogle express took off. He was accompanied by Newcastle’s Damian McDaid. The grumbling pack followed at safe distance. The first section is all on tree root infested mucky paths. 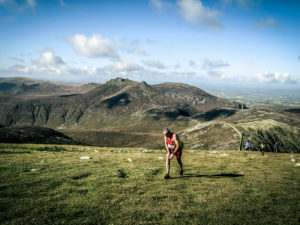 As the leaders hurried on there seemed no particular enthusiasm for trying to keep a pace until Mourne Runner Clive Bailey moved up to the front and took up the chase. By the time the race had emerged from the dark viscous first section onto firmer forest tracks Damian had been dropped by the express and picked up by the chasing group. 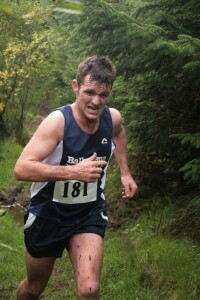 As the climb progressed Bailey and Ballymena’s Alex Brennan seemed to be making some inroads into Bogle’s lead. On their heels were Newcastle’s Colm Campbell, Ballymena man Emmet McAlister and Mourne Runner Richard Bell, or me to my friends. The forest trails lead you on for a good stretch until you hit a monstrous steep mucky fire break which acts as an elevator to the mountain top. At the front there was no change on this section, but coming from behind Simon Reeve and Shileen O’Kane started to gain some ground. As the race proceeded over the flank of Gallion proscar there was still no sign of the express. In the groups behind Bailey and Brennan were stretching their lead as the runners started to string out. Once over the flank runners have to navigate the far base of the hill before taking on a punishing steep climb to the mast. At this point Brennan, a demon grimpeur, started to pull away from Bailey. 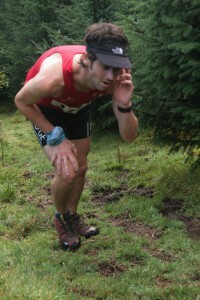 Simon Reeve had caught me and as we went over the top had taken over the chase of McDaid, McAlister, and Campbell. The run from the top takes you down a guttery, rutted, path before rejoining the forest trail to take you back the way you came. 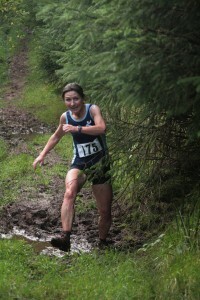 It is a fast descent on which it is hard to make up ground. 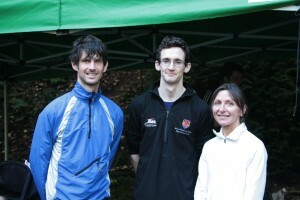 Today there were no exceptions to the rule and Alan Bogle won in a time of 41:54, followed by Alec Brennan in 43:00 and Clive Bailey in 43:26. The ladies race was won by Shileen O’Kane in 49:11 followed by Anne Sandford in 55:15 and Violet Linton in 57:33. It was great to see today’s event supported by many running clubs including Ballymena Runners, Mourne Runners, Newcastle AC, Lagan Valley AC, North Belfast Harriers, City Of Derry AC, Larne AC, Glen Runners, Pegasus AC, Foyle Valley AC, and Dromore AC. 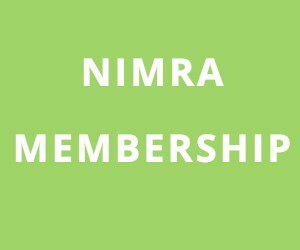 That is all for now folks, but NIMRA hope to run a fun event over the next few weeks so keep an eye out for the details.